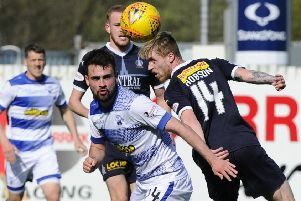 Falkirk is well represented in the Scotland under-23 squad. Local Vic Ben Stevenson leads the way after his Great Scottish Run success and he’s joined by former Harrier Dale Colley, now with Central AC and Avonbridge’s Sarah Inglis. Young Harriers’ Scott Stirling, who won the Braid Hills 5km cross country recently, is also going along with under-15 Lewis Pentecost. Track star Laura Muir and World Cross GB international Andrew Butchart are also among the Scotland selections for the British Cross Challenge event in Liverpool. And no fewer than 22 will do so with backing and support from scottishathletics - as Scotland selections for the event on Merseyside on Saturday (November 28). The race day will determine who features for Team GB and NI in Hyeres in the south of France on December 13 and hopefully many of those Scots involved will have strong hopes of winning GB vests. Stevenson is among them. He said: “At no stage at the start of this season did I expect to be competing for a GB vest. “ I am going down hoping I can get in the team which would be a great achievement. Stevenson ran the Round The Houses course in 31.51 earlier this year, but has shaved almost 75 seconds off that time over the course of the year. He added: “I ran at the weekend in Leeds in 30.38. “You always aim to improve but I never expected to improve quite so significantly – but it’s been a really good jump. “I swapped coaches earlier this season too and John Pentecost has really helped me, but we are including a lot of the techniques from my previous coach Alasdair Russell at Edinburgh Uni, right across the club now too. As well as a Team GB vest, there’s a chance to gather points for the Scottish XC Grand Prix, which takes in six events and began at Bellahouston with the 4K races. Beijing 1500m finalist Muir won the Scottish 4K XC Champs in a Bellahouston mud-bath earlier this month and is eligible for the U23 category at the Euro Cross – won last year by fellow Scot Rhona Auckland. There’s a good representation for Central on the men’s side as Butchart is joined by Alastair Hay, Dale Colley and Aidan Thompson. Muir is joined at U23 by current Scottish National XC champion, Australian-born Maddie Murray, with Euro Cross regular Steph Twell in the Senior Women’s selection by scottishathletics. Among the Seniors, Twell is joined by Sarah Inglis of Lothian Running Club, who won the Canadian collegiate cross country championship in Ontario last weekend with a course record. She said: “We just really wanted to do well as a team because we thought we had a chance to beat Guelph.